Boost Like Crazy Racey... motorbikes only! Click the image or this text to access the GRCade Mario Kart Spreadsheet. Use it to share your Nintendo Network ID and add other GRCade members to your Wii U. Use this web site to compare your favourite combinations and build your ultimate racer. Click the title above, or spoiler box below, to open the grid. Last edited by Super Dragon 64 on Thu Apr 02, 2015 4:53 pm, edited 119 times in total. Click the image or this text for more details about this promotion. Video game players are familiar with the law of diminishing returns. Even as new entries in a series tirelessly improve upon their predecessors, our interest nevertheless wanes; with games, improved is somehow less exciting than new. 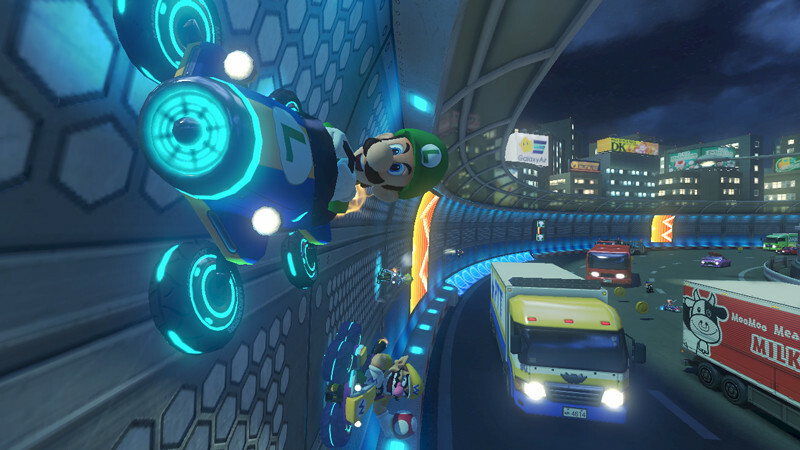 Mario Kart 8 is a rare thing, then: the best entry in a series and the most exciting yet. That it offers as much of its own innovation again speaks volumes; Mario Kart 8 is as essential a purchase as Super Mario 3D World. Whether it will give Nintendo’s console the sales boost it so desperately needs is another matter, but the famously cloistered company is at last giving its players the opportunity to reach beyond the Miiverse with its YouTube uploads. However it plays out, Mario Kart 8 is yet another overwhelmingly powerful argument in favour of the company’s idiosyncratic approach to design. 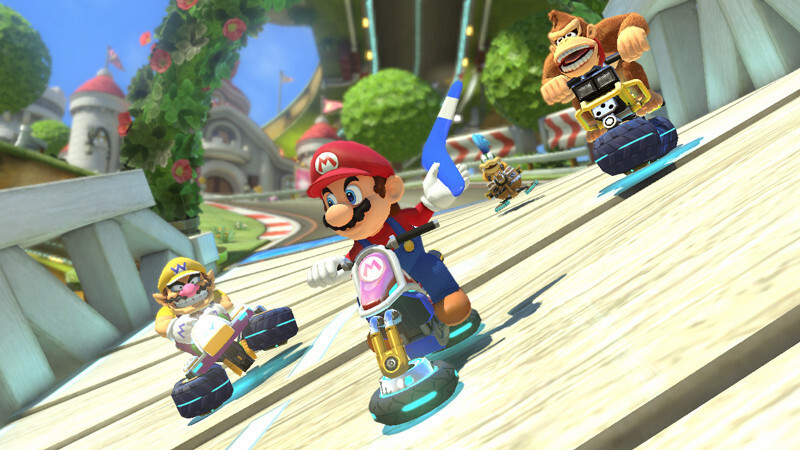 Mario Kart 8 is the best kart racing game Nintendo has made in a long time. It strikes a careful balance between refining old ideas while introducing fresh new ones. Admittedly, its gorgeous graphics and jazzy orchestrated soundtrack bolster its presentation, but you’re getting a lot more than just looks with this one – although I spent an awful lot of time gawking at the details in slow-motion, the fast and furious pace of racing with friends both locally and online is what really kept me coming back. Then again, "You might only be able to have tons of fun for a month or two" is the closest thing to a complaint I could level against Mario Kart 8. It doesn&#39;t bring massive innovations to the formula, but it&#39;s overflowing in that Nintendo magic that makes it so easy to forget about minor shortcomings. Its gorgeous looks and tightly developed sense of speed ensured that I was never left unhappy after a race, even when I blew it and came in near the end. What more could I ask for than a game that keeps me smiling even when I lose? In case you&#39;re the type of person who sees a wall of text and gets &#39;the fear&#39;, heed this, and heed this well: Mario Kart 8 is exactly what you want. This is a multiplayer event showcasing Nintendo doing what it does best: bashing your expectations (which should already have been lofty) into dust and then rebuilding them anew into something bigger and better than you had imagined. 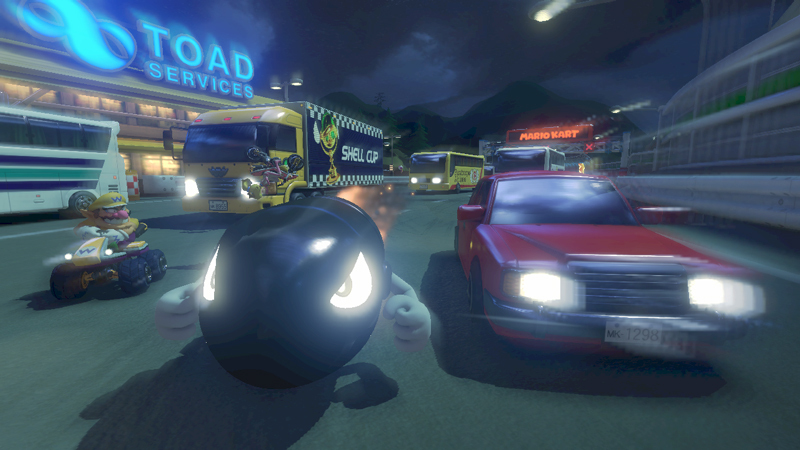 Nintendo has done an admirable job of keeping Mario Kart relevant. How many franchises can you think of that have remained in top form for more than two decades? Not too many. 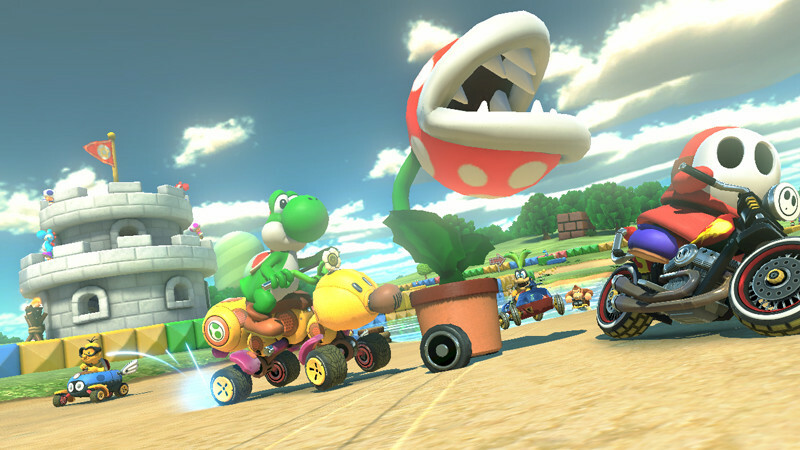 I do admit that my first impression of Mario Kart 8 was pretty close to a yawn. 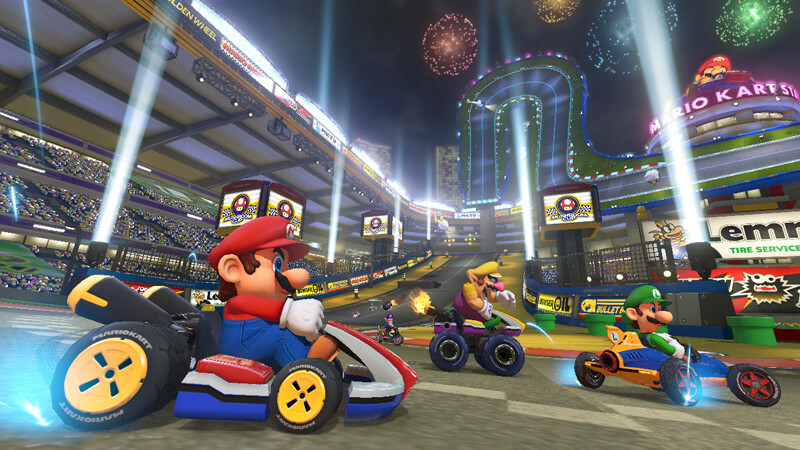 Mario Kart is one of my favorite franchises, but it&#39;s hard to get excited for the same old thing. But the more I played, the more I appreciated the many small changes, and grew to love my time in the Mushroom Kingdom. And now that yawn has changed to a shout of joy. It&#39;s more Mario Kart! I&#39;m happy Nintendo still understands what makes this series so darn fun. 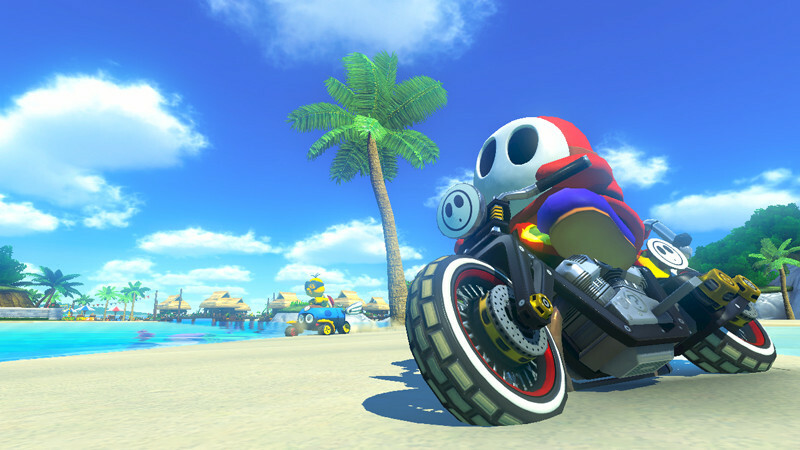 The most important thing is that Mario Kart 8 is just a whole lot of fun. Whether you’re on your own, or playing with any number of friends, you’re assured of a good time. The happiness on my childrens’ faces while playing was a joy, and then, suddenly, you notice you are smiling too. It may not be revolutionary, but it adds just enough to pique interests while keeping the core experience we’ve all grown up with, regardless of age. 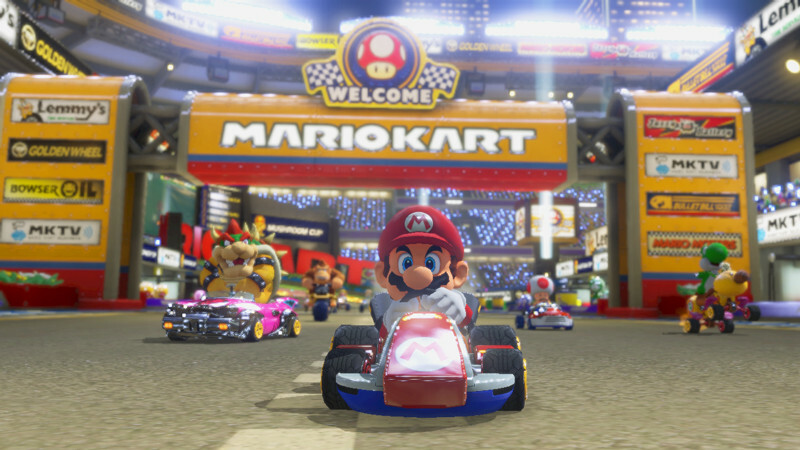 Mario Kart is one of those timeless franchises that every age group can enjoy, and sometimes, that’s enough to celebrate. It’s really good fun and incredibly simple to use. Mario Kart suits the idea of sharing too. For example: throwing a green shell from second place, hitting the leader as they approach the line, seeing them flip up into the air, before whizzing underneath them to take the win. Mario Kart 8 is full of moments like these. And while local multiplayer is still the best way to play, that you can share them in this more connected world is a smart evolution of one of the finest party games there is. It’s a small step for Nintendo where its competitors have made deliberate and purposeful strides, but a step forward nonetheless. It might be too late to completely turn around the Wii U’s fortunes, but when Nintendo are releasing games as good as this, it may just have a chance. 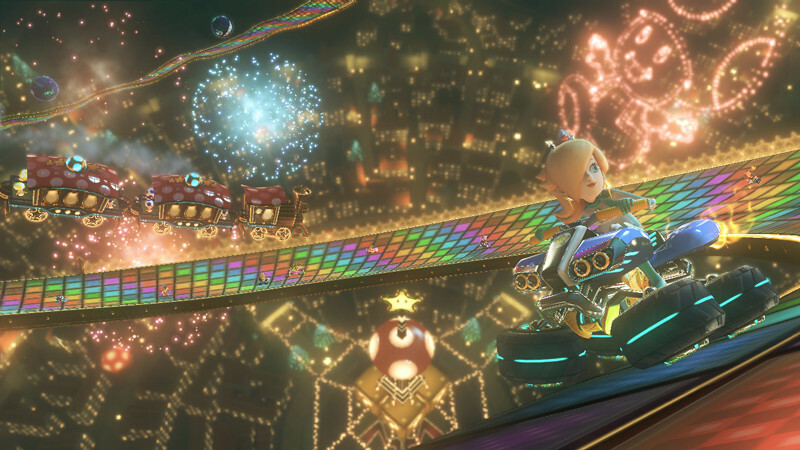 Mario Kart 8 is a slick and gorgeous-looking kart racer that&#39;s perfectly solid but not always as exciting or addictive as we&#39;ve come to expect from the series. 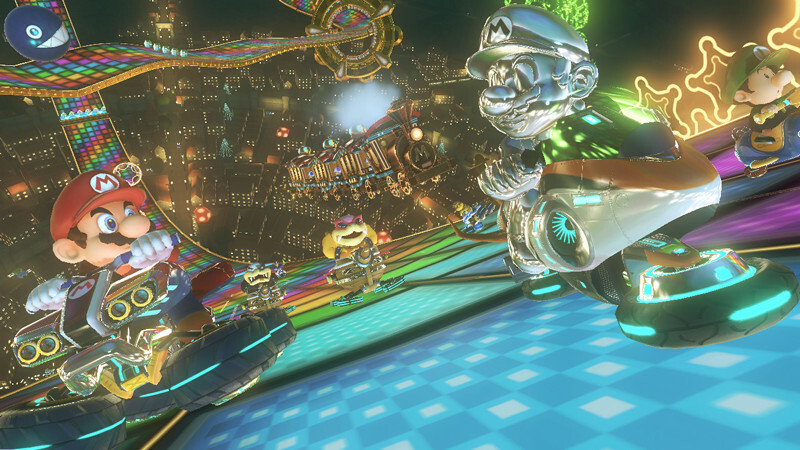 Mario Kart 8 is a conservative update, choosing to polish and refine rather than reinvent, but it&#39;s still as alluring a racer as it ever has been. Gario » Fri May 16, 2014 4:52 pm wrote: A 5-star review from The Guardian, full of praise and claiming it tops the 1992 original SNES game. Mockmaster » Fri May 16, 2014 5:13 pm wrote: Meanwhile, a less positive spin. "Why Can’t Nintendo Stop Ruining Mario Kart?" Basically he hates the Battle Mode and the inability to carry an item while dragging another. Last edited by Super Dragon 64 on Thu Aug 28, 2014 10:00 am, edited 1 time in total. Last edited by Super Dragon 64 on Thu Aug 28, 2014 10:06 am, edited 1 time in total. Last edited by Super Dragon 64 on Thu Aug 28, 2014 10:15 am, edited 2 times in total. I am no Mario expert, but isn't Lakitu a villain? And Miis obviously qualify as evil. You're absolutely right! 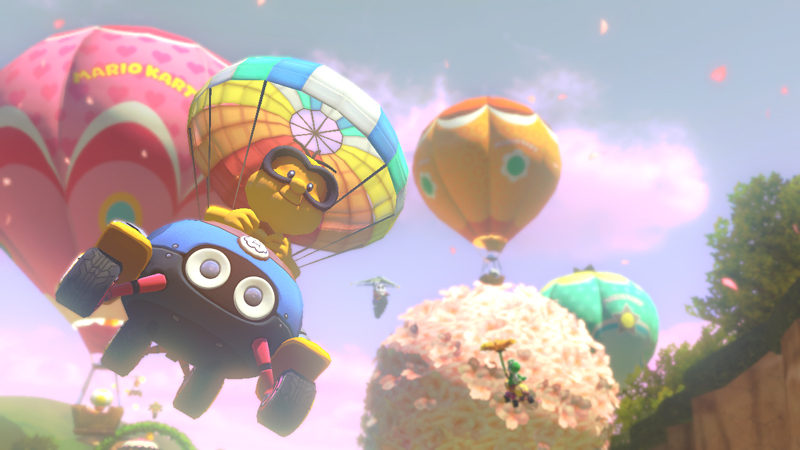 I paused for a moment to think about Lakitu and I decided on hero as the first thought that came to my mind was him helpfully putting racers back on the track. Of course, I should have taken a moment to think further and look at his role him in a Mario platformer. To be fair, there's no indication that Lakitu is actually throwing those spinies at Mario. It's possible that his cloud is just infested with them and hes desperately trying to get them out. And from Mario 64 on, he's often actively helpful. How come the new thread? We've reached a high number of posts or something? Won 4 out of my first 5 games online having not played for about a month. Then Jazzem comes along git. Having some great games though! [iup=3548166]Floex[/iup] wrote: How come the new thread? We've reached a high number of posts or something? The new guidelines provide that threads should have defined ending points. This can be anything but the general rule of thumb is no more than 250 pages per thread. I ordered some Nintendo eShop credit from GAME.co.uk* so hopefully it has arrived today and I can get the DLC pack. I'm looking forward to racing as Red Yoshi for a bit. I wish that Dry Bowser was replaced by Cat Bowser because he looks incredible in 3D World. I am free tonight if Teamwork Thursday is still going on! It's just cruel to add the new characters and cups to the selection screens in this. Especially a pack that isn't coming out until May! I've not joined a GRcade Mario Kart get together before, but am keen to be in for this one! Welcome to the party, FlippinChicken! It's always great to see new faces Be sure to enter the tournament code in the title to join our races. If you find that you're alone in the lobby, back out to the friends and rivals menu then try to join one of us directly. Oh, I was doing some random reading last night instead of going to sleep and I came across the Wario Stadium 64 track page on the Mario Wiki. The description from Mario Kart 64's manual states that Wario 'brought in major amounts of sand to fill this huge stadium in an attempt to build a course more suitable to bikes than Karts'. I guess that Nintendo might have been thinking about adding bikes to the franchise as early as 1996. The different karts in Double Dash!! would have been a good way of starting a slow expansion of the choice of vehicle from none, to different karts, to a variety of karts and bikes, to the current collection of different kart and bike parts. I hope that Wario Stadium 64 returns and Lakitu doesn't help anyone who falls in dat gap. Wario's Gold Mine is a great track but it looks like its inclusion means that we'll have to wait for Mario Kart 9 before seeing Wario Stadium 64. Another interesting fact from the Mario Wiki is that Wario Stadium 64 is the only track from Mario Kart 64 that has yet to return as a retro course. I should be involved tonight. I'm not feeling so good so if I don't turn up have fun without me. We'll I'll be a villain then. Though really we should all be Yoshis and Shy Guys. You can play as coloured Yoshis and Shy Guys on People Who Pay For DLC Nine Months Before It's Released Night. I will join the Villains, as it is the spiritual successor to Team Wario.